Home • Blog • Welcome to the new season! With a new Spring/Summer season around the corner , yet again we are getting ready to rotate our wardrobes! But with so many Spring/Summer 2019 trends on the horizon there is certainly no need to reinvent your whole wardrobe and most definitely no need to be spending outrageous amounts on your key wardrobe pieces. Have this season’s must have accessories in your Rowcroft shopping bags and be ready to dig out the timeless pieces to style them with. Your safe but classy, neutral palette will feature throughout this year’s spring/summer period. Shades of soft beige will create an expensive aesthetic and can be easily found in shops such as ours on your local high street. Creating clean cut shapes and elegant silhouettes with cropped trousers and knee length skirts to dress your body how your body wants to be dressed. With a fluid theme of empowering women throughout high street collections and campaigns at the latter end of last year, we can see this being delicately tossed into catwalk collections ready for this season. Rowcroft shops are full of hidden treasures that will give character to your style. Why buy brand new, when you can pick up a timeless garment that none of your friends will find? A touch of the 80’s will be sneaking into the mix this spring. Exaggerated silhouettes created by padded shoulders and cinched in waists are trying to make a comeback, along with your grandmas recycled square toed heels! Where better to find these items than in your local Rowcroft charity shop? Be confident and add colour and bold prints into your wardrobe, even the ones that you think are outrageous. Bright pinks, greens, blues and oranges will be your major wardrobe colours this season. Neon’s are back and they are brighter than ever. Limes and oranges are proving to be the most popular so far. 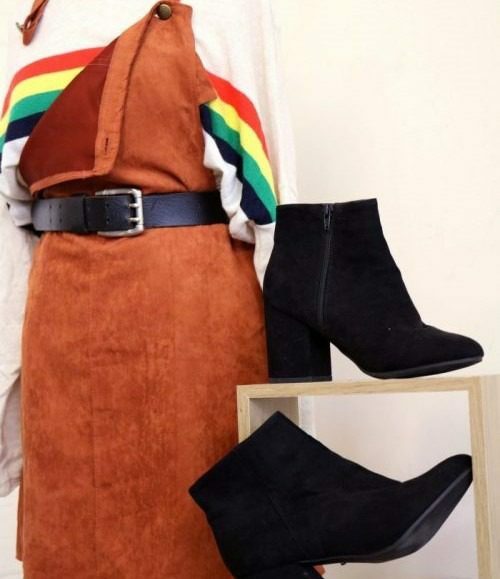 Although initially these colours seem so far away from something that would be a component of an acceptable day to day outfit, they definitely are! Neon turtle necks, tucked into a subtle denim skirt, or simple black jeans will help you add colour without feeling far too flamboyant. Although, these colours can gently trickle into your wardrobe through stitching, shoes and accessories if your style is more flamboyant do not hesitate to clash! Sports luxe seems to be more than a seasonal phase that high street and high end designers went through last year. Don’t say goodbye to cycling shorts and big chunky trainers, these seem to be here to stay. A skin tight pair of thigh length shorts can be quite daunting, take them an inch lower if this is the case or even an inch higher if your confidence allows it! Style your shorts up with a baggy knit and a cinched in waist. With a belt or a bag? The bum bag has been reinvented and now holds the more enticing name of the ‘belt bag’, so you can do both! Dressing up lounge wear is easy and allows comfort whilst preparing for an evening out. Bags and belts are your major wardrobe accessories, helping you to change any outfit into the day or night style that suits you. Get yourself a simple buckled belt, and let the clothes and the bag do the talking. We are still wearing our long strapped bags crossed over the body, but we might be converting the shape. Spherical bags are set to be making a huge trend in your 2019 spring/summer wardrobe along with the drawstring ‘bucket bag’ that we absolutely love! 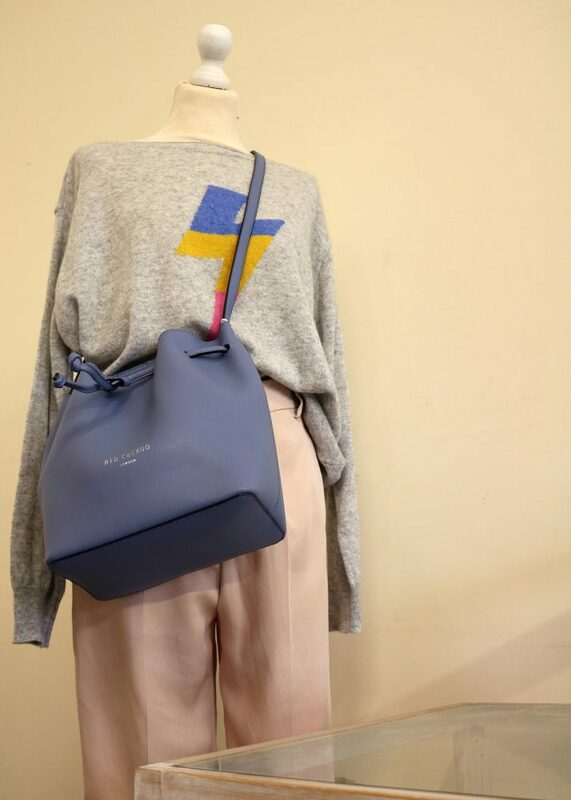 Rowcroft shops are stocking these exact bags that are turning heads on this season’s runway.